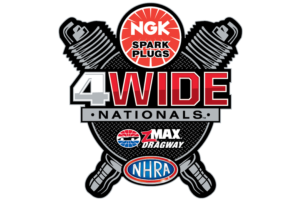 Ron Capps entered Sunday's NHRA Four-Wide Nationals at zMAX Dragway with 51 NHRA victories but none in four-wide competition. 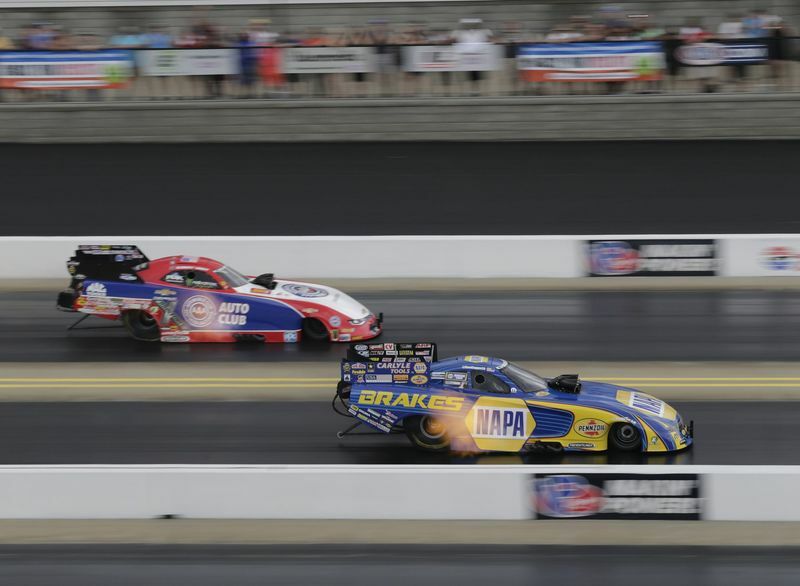 Capps changed that in spectacular fashion when he captured his first four-wide victory in a thrilling conclusion to Funny Car's four-wide festival of 40,000 horsepower. Capps' final pass at 3.933 seconds and 322.65 miles per hour held off Jack Beckman to give the veteran driver his first four-wide Wally and his second consecutive win. "This is a fun event," said Capps, whose win gave him the Funny Car points lead. "It changes everything: your mentality, the way you approach each round. There's not that many times you see other drivers pop out of their cars with a smile on their faces, win or lose. It's an exciting race. … It's an amazing feeling (to win a four-wide race) and it's due to the crew chief (Rahn Tobler) crunching the numbers." Top Fuel action saw Steve Torrence post a 3.783-second, 323.89-mph pass to beat Leah Pritchett to the line for Torrence's first triumph of the season and the ninth of his career. "This is top of the list," Torrence said. "This is a driver's race. We run 24 races a year and one of them we race four-wide. … It's very gratifying to come here (and win). This is an awesome race. "I was probably the most relaxed in the final round. I knew that we had a good race car." Chris McGaha leaned on a sizzling, 6.591-second, 210.44-mph pass to edge Greg Anderson for the victory in Pro Stock. McGaha's win was his first at zMAX Dragway. L.E. Tonglet held off Eddie Krawiec with a 6.864-second,195-mph run to win his first four-wide Pro Stock Motorcycle event. Mike Castellana closed out the only four-wide event in the NHRA when he made Pro Mod history with his 5.807-second, 249.35-mph run to win the Pro Mod class' first-ever four-wide race.